We know tons of artists from the scene. We know the tracks, the performances and see interviews, but what do we really know about our edm heroes? We are diving into the depth and investigate one of today’s biggest dj. Who is he, where does he come from and how did he get to where he is today? This week we are talking about Martin Garrix, the young Dutch DJ who first hit ‘Animals’ came out when he was only seventeen years of age. Many fans, as well as producers and DJs, view Garrix as the new number one DJ in the world. The big question is only: Who is Martin Garrix actually? Martijn Garritsen was born on May 14 1996 in Amstelveen. After he saw Tiësto performing at the Olympic Games in Athens in 2004, it was clear: He wanted to become a DJ and producer. 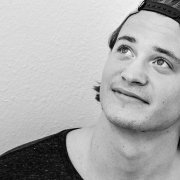 Martijn was inspired by the track ‘Traffic’ which resulted in the purchase of producer software. He came up with the name Martin Garrix and the production ready to start. After he made this choice, he eventually started training at the Herman Brood Academy in Utrecht. In 2012 Garrix released the song ‘BFAM’ with Julian Jordan, and became SLAM! FM DJ Talent of the Year, he appeared on the album of Christina Aguilera and was signed by Spinnin ‘Records. A very good year for this young artist. Things started to look good for Garrix, he had a label, his first official release and a first award. Now the real work could begin and in 2013 he released a song called ‘Torrent’ which was Tiesto’s own label, Musical Freedom Records, which Garrix produced together with Sidney Samson. Garrix probably did not know what to expect at that moment, but it turned out to be his big breakthrough. On June 16, 2013, the dj released a track called ‘Animals’, which catapulted him into the spotlight. This hit record, which now is pretty old, peaked at No. 1 in a number of countries, including the United Kingdom, and went platinum in the U.S.
After the success of his major new hit record, he continued to surprise his fans with amazing new tracks. He releases a remix of ‘Project T’ by Sander van Doorn and DVLM which became number one on beatport. The track received a spot in the Dutch Top 40 at number seventeen and in Belgium at number six. After that, together with Firebeatz Garrix made ‘Helicopter’, which then stood at number one on Beatport for two weeks. It was a great start for 2014 and the results were experienced at Ultra Miami. Garrix played a lot of new tracks, including a collaboration with Afrojack. ‘Tun Up The Speakers’ which became another big hit for Garrix and at that moment we knew for sure: we have a new world artist from the Netherlands. After all these successful years it was time for a bit of change. Martijn started to change and his tracks became a bit different. The producer started to develop his own sound that would fit better with progressive house than with electro house or big room. On February 6 2015 Martijn distributed a track to celebrate 10 million Facebook likes, ‘Forbidden Voices’ was free to download. The track went pretty well, but not as good as ‘Do not Look Down’ that he made with Usher, this track showed the new sound of Martin Garrix in one go. The track was recorded in 24 charts and was sold more than 25 thousand times in Italy, which gave the two a golden records. The producer also had a hit with Avicii, ‘Waiting For Love’. Even Though, his name is not in the title, he did participate in the track. Martin Garrix won the ‘2013 Dance Music Awards’ for ‘Best Electro / Progressive Track’, ‘DJ of the Year’, and ‘Newcomer of the Year’. Furthermore, In 2014, he was granted ‘The Buma Award’ for ‘Best International Song’ and ‘MTV Clubland Award’ for his hit single ‘Animals’. After that, Garrix also received the ‘MTV Millennial Award’ for ‘Beat Guru’, ‘MTV Europe Music Award’ for ‘Best Electronic’ and ‘Best Word Stage Performance,’ and ‘NRJ Music Awards’ for ‘Best International DJ’ and ‘Best Live Performance’.